Hot political topics of the early 21st century include instability in the Middle East, climate change and, apparently, sweeteners. Various consumer factions may show a preference for sweeteners that are “natural,” low-calorie, flavorful or devoid of flavor, economical, trendy, have additional health and functional benefits and/or have less than X (amount to be determined) percent fructose. Even greater attention will be placed on this ingredient category with the FDA’s proposed new Nutritional Facts Label requiring “added sugar” to be quantified on labels and emphasizing total calories instead of fat. Through the years, the food industry has offered a steady stream of new ingredients to satisfy consumers’ sweet tooths. One can sometimes watch an ingredient’s march from a patent to GRAS approval to market introduction to mass commercialization. For example, D-psicose is called a “rare sugar” due to its scarcity in nature. Historically it has been prohibitively expensive, and processing patents filed in the past 10 years have addressed its production. According to the first of two GRAS notifications submitted to the FDA, it is some 70 percent as sweet as sucrose but has only 0.2 kcal/g. In June 2012, the FDA responded positively to the first notification with “FDA has no questions.” Response to the second, which was just filed earlier this year, is still pending. Preliminary research points to health benefits such as D-psicose’s ability to improve insulin resistance (Biochem Biophys Res Commun. 2012. 425(4):717-23) and to increase energy expenditure (Int J Food Sci Nutr. 2014. 65(2):245-50). It also has hypoglycemic benefits (J Agric Food Chem. 2012. 60(4):863-9) and forms antioxidants (J Agric Food Chem. 2008. 56(12):4789-96). In this last study, researchers delved into key beneficial properties that go beyond sweetness and health. They looked at the impact of D-psicose on egg white foaming properties in butter cookies and found that, with a little extra whipping time, the new sugar increased the egg protein’s aeration over sucrose or fructose. Through Maillard reactions — the source of the antioxidants -- it increased the cookies’ brown color. Factors influencing R&D as to choice of sweeteners are not dissimilar to those of consumers. Cost, impression of health benefits and taste all play a role. However, product formulators also must consider an ingredient’s functional (i.e., physiochemical) and processing properties. For example, one R&D director of an organic baked goods company points to a challenge in the use of organic sugar. Since generally the molasses is not completely removed, clumping can be an issue during production. 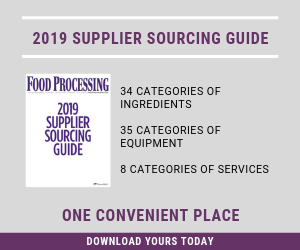 The food industry is fairly well versed in some formulation requirements, such as aligning bulking agents with high potency sweeteners or using combined sweeteners to better match the temporal sweetness perception of sucrose, the gold standard. However, there is a learning curve as a new ingredient enters the marketplace. While “the devil is in the details,” rules of thumb can be offered. Alex Woo, Ph.D., CEO and founder of W2O Food Innovation, suggests people working with sweeteners in a reduced-calorie product use “natural” ones, if possible, due to marketplace interests. For the U.S. market, this would include stevia extract, monk fruit extract, thaumatin (a FEMA GRAS natural flavor) and erythritol. Second, “less is more!” says Woo. “Formulate with low levels (in parts per million) and use blends.” This helps deliver sweetness without off-flavor. “Last, use taste modulators only when necessary. These include natural retronasal aromas like a sugar distillate and osmolytes such as malic acid,” he adds. Woo’s interest in sweetness perception goes beyond specific ingredients to neuroscience and taste physiology. For example, some studies show that round-shaped foods tend to be associated with sweeter perception. Carbonation, which is a trigeminal pain agent, can make artificial high potency sweeteners taste more like sugar in beverages. Using molecular biology to trick your taste buds is kind of novel for the food industry, says Woo quoting Professor Beverly Tepper from Rutgers University, but he predicts it is the way of the future. Changes highlight calories, change serving sizes.